What are you going to do to lower our health insurance premiums? If you pay for even a portion of your health insurance bill you know the pain of annual rate hikes. I’ve written about my journey from less than $400/month premiums before Obamacare to paying over $1,000/month for the same coverage. Premiums go down 1.5% for 2019: who cares? The damage is done and it was caused by the ACA, but Democrats blame everyone but themselves for rising costs from the bill they boastfully labeled “affordable care.” Instead of accepting responsibility they accused Republicans of hatching plans that would make insurance unattainable for those with pre-existing conditions. They ignored the fact that if you can’t afford insurance your pre-existing condition is irrelevant. Rising premiums and fewer choices resulted in a large portion of unsubsidized people dropping out of the market. That what happens when affordable health care turns out to be unaffordable without the government paying a large share of the bill. To be entirely fair, the Democratic Party wasn’t in much of a position to fix what they passed in 2010. Now they are, so it’s time for the nation to demand that they fix their mistake. We need to know right here and now how they plan to do it because like House Republicans they’ve had a long time to figure it out. Instead of a solution we’ve got heads buried in the sand from House Democrats using the last open enrollment period to confuse a person’s need for health insurance with affordability. We already have those exorbitant premiums and if we believe the CMS, lots of people without subsidies who are forced to drop out of the market. Hoyer also used a bronze plan decrease of 0.3% and gold plan drop of 2% as evidence that things are improving.8 Citing an NPR article that shows a 10% decrease in “more than half of the counties”9 that use the federal exchanges, he neglected to mention the 2019 premium increases described in the same article. Even if we all got a 10% decrease, it’s too little too late. Instead of parroting that something is affordable when for many it clearly is not, Democrats need to take responsibility, work with Republicans to fix their landmark bill, and make it truly affordable. Until that happens the new Democratic House is lying to the nation about a crisis members won’t even acknowledge because it’s far easier to score political points than make their ACA affordable. 1. “Data on 2019 Individual Health Insurance Market Conditions.” CMS.gov. October 11, 2018. https://www.cms.gov/newsroom/fact-sheets/data-2019-individual-health-insurance-market-conditions, retrieved January 1, 2019. 4. “Castor: Florida Leads Country in ACA Open Enrollment, Shows Support for Affordable Quality Care Coverage.” Kathy Castor. 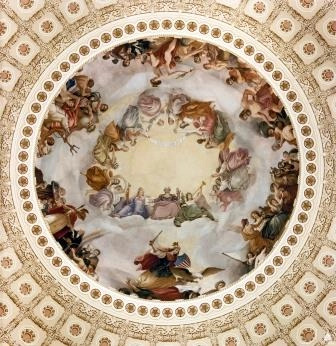 December 19, 2018. https://castor.house.gov/news/documentsingle.aspx?DocumentID=398849, retrieved January 2, 2019. 5. “Congresswoman Johnson Opposes ACA Individual Mandate Ruling.” U.S. Representative Eddie Bernice Johnson. December 15, 2018. https://ebjohnson.house.gov/media-center/press-releases/congresswoman-johnson-opposes-aca-individual-mandate-ruling, retrieved January 2, 2019. 6. “Congressman Doggett Reacts to Affordable Care Act Ruling in Texas.” Lloyd Doggett. December 15, 2018. https://doggett.house.gov/media-center/press-releases/congressman-doggett-reacts-affordable-care-act-ruling-texas, retrieved January 2, 2019.
health-coverage, retrieved January 2, 2019. Image from “Open Enrollment for 2019 Marketplace coverage is here!” HealthCare.gov. 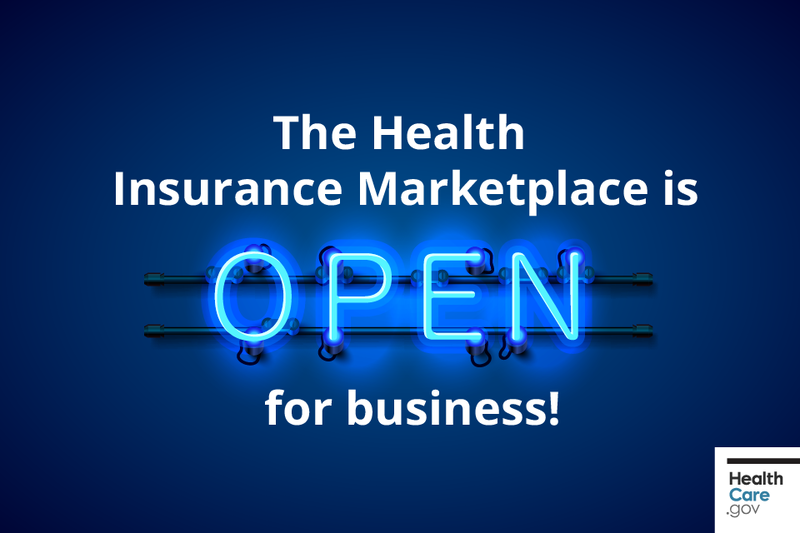 November 1, 2018. https://www.healthcare.gov/assets/2019-marketplace-open-enrollment-starts.png, retrieved January 2, 2019.